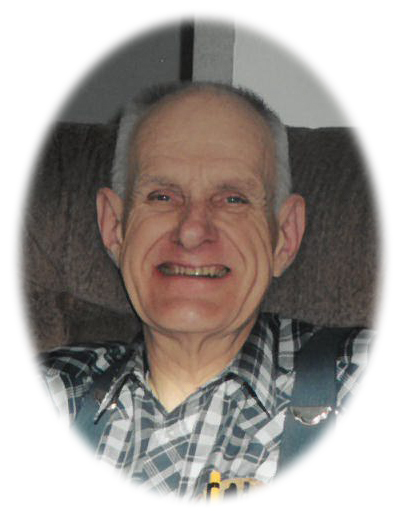 PINESDALE - John Gustav Tietz, 81 passed away the morning of 11 of September 2018 with his family by his side. John was born December 6th 1936 in Saint Paul, Minnesota to Gustav Tietz and wife Louis Rose Stanger. John would be their only child. John grew up in Saint Paul, Minnesota on Wyoming Street. He had many fond memories of his time growing up there. He was extremely proud of his German heritage. His Father emigrated from Germany to Minnesota where he met and married Louis Stanger who was the daughter of German Immigrants. John had a love for animals that he got from his mother. At one time he even had a pet squirrel. John attended Hendricks Elementary School, Roosevelt Junior High and Humble High School graduating in 1954. John went on to attend the University of Minnesota from 1954-1959 were he would graduate with Distinction in Aeronautical Engineering. John also served in the Air National Guard joining in 1953 and retiring in 1962. During this time John also served in the National Guard for one year as Special Forces. John had a vast career in Engineering. His first job out of college was at White Sands Missile Range where he worked for three years. In 1962 he married Rachel Campbell. Later that year they moved to California were John got a job working at NASA. After four years of the hustle and bustle of California John was ready for a more quiet life. So in 1966 Rachel and John moved to Montana and settled in the Bitterroot Valley. John and Rachel would later divorce in January of 1968. John got a job in Missoula working for the Forest service were he designed a static line anchors and such as a safety system for the smokejumpers when jumping out of planes. John worked for the Forest service until his retirement in 1987. John met Marga Zickermann in the spring of 1968 and then married on the 10th of August 1968. John and Marga celebrated their 50th wedding anniversary this past August. Seven years later in June 1975 they were blessed with the opportunity to adopted a baby girl (Ursula). They would bring her home when she was just five days old. She would become the joy and pride of their lives. In 2003 they gained a son in-law Rex Weidow and through this union they were blessed with two sweet grandsons Nicholas John Weidow and Warren Richard Weidow. They would bring so much joy to John and Marga. John was preceded in death by his parents Gustav and Louise Tietz along with numerous Aunts and Uncles. He is survived by his Loving wife Marga Tietz, Daughter Ursula (Rex) Weidow, Grandsons Nicholas and Warren Weidow. There will be a viewing on Saturday 15th of September 2018 from 10 to 11 at the Pinesdale Chapel. Funeral Services will start at 11 am followed by interment at the Pinesdale Cemetery. A reception for Friends and Family will follow interment in the Pinesdale gym. Condolences may be left at the www.dalyleachchapel.com.